For more than 50 years our family has been committed to crafting guitar strings in Southern California that shape the sound of rock and roll. 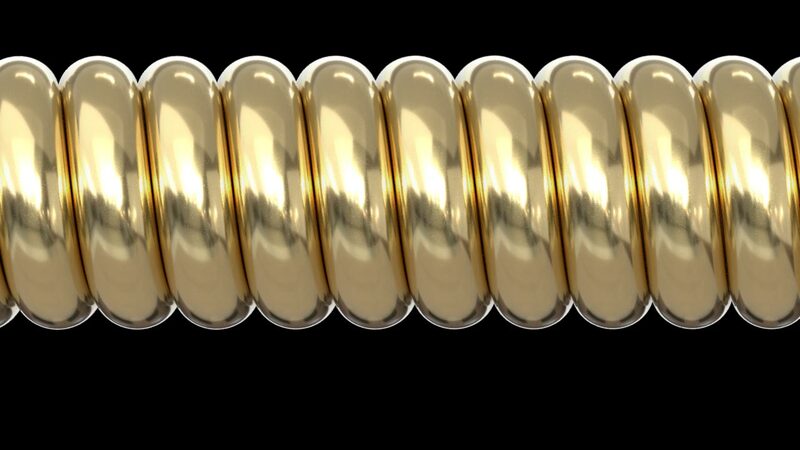 From the introduction of Slinkys in 1962 to PARADIGM, the world’s most advanced guitar strings ever created, experience the story and passion behind our family’s uncompromising commitment to innovation and tone. Eric Clapton, Jimmy Page, Keith Richards, Paul McCartney, Pete Townshend, Slash and thousands of other guitarists have relied on Ernie Ball to deliver the iconic tone they are known for. 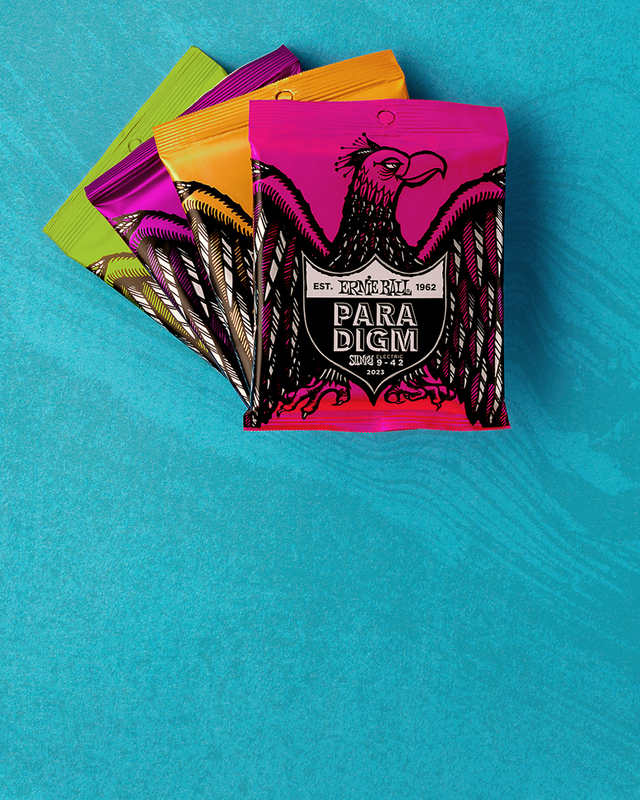 PARADIGM continues our legacy of tone by pushing the boundaries of what a guitar string can be - stronger, more durable and longer lasting, without compromising the sound or feel. Our new state-of-the-art wire drawing process coupled with our patented RPS (reinforced plain string) technology dramatically increases tensile strength by up to 35% and provides up to 70% more fatigue strength than traditional strings. 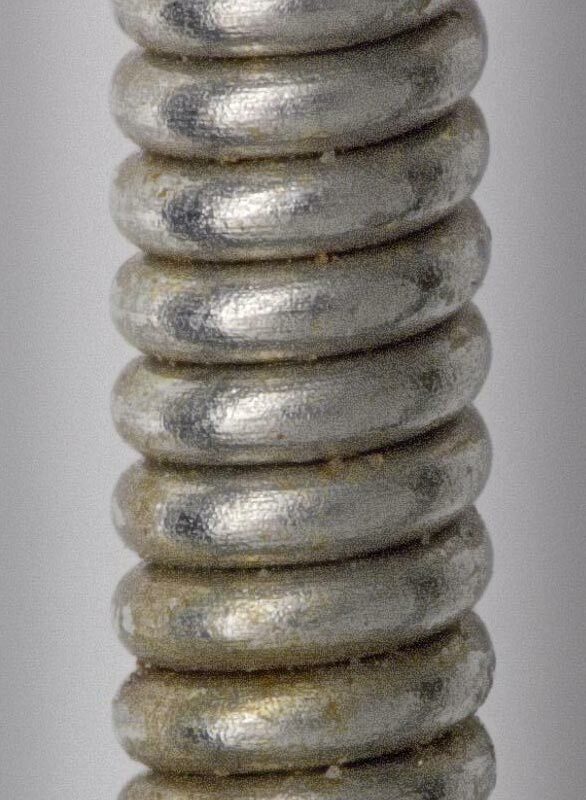 Reinforced Plain Strings (RPS) firmly lock the string to the ball end without the need for a traditional lock twist, which can over-stress the wire and become a breaking point. 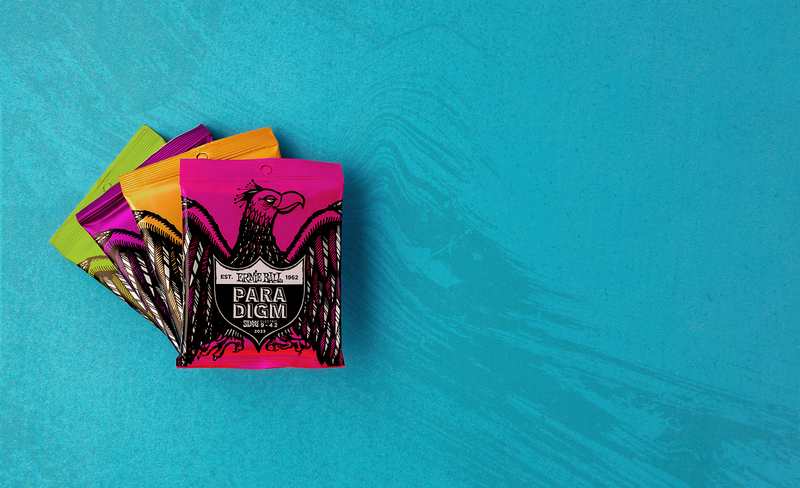 This patented, Ernie Ball-exclusive technology gives PARADIGM plain strings superior strength and better tuning stability, so you can bend farther and strum harder than on any other guitar string available. Both PARADIGM plain strings and wound string core wires are made up of ultra fine grain high strength steel using our new state-of-the-art wire drawing process. This re-engineered grain structure means the strings can take a lot more punishment. We brought PARADIGM strings to Sturbridge Metallurgical Services lab to put their strength and corrosion resistance to the test. 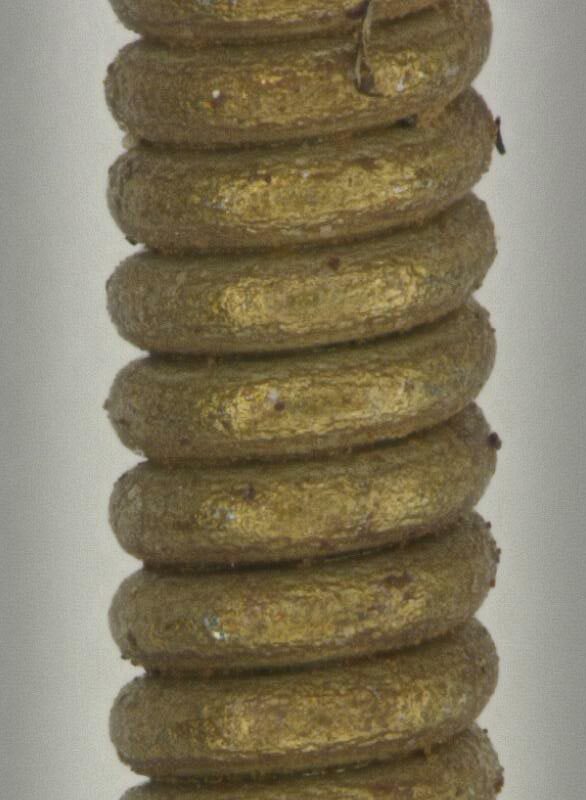 PARADIGM wrap wire uses an exclusive plasma enhanced process to remove defects and greatly improve corrosion resistance. Our patented Everlast nanotechnology is applied once the strings are wound, changing the way they react to moisture and oils. Get strings that last longer and sound fresher - without the tone-killing side effects of a coated string. 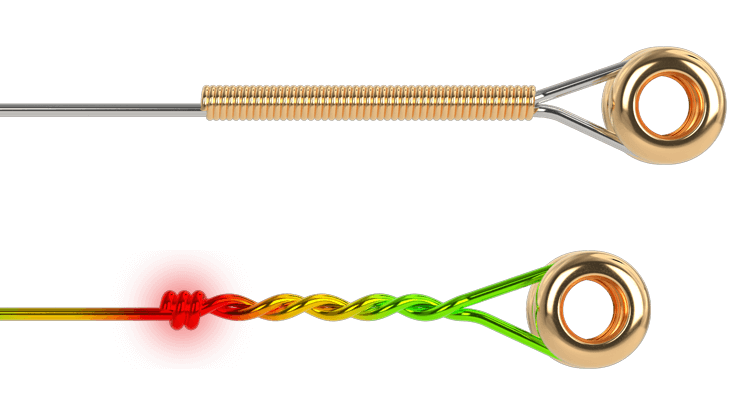 Our exclusive plasma process enhances all PARADIGM wrap wire before it is drawn down to specific gauges. The high heat of the plasma removes contaminants and smooths out defects for a consistent finish. 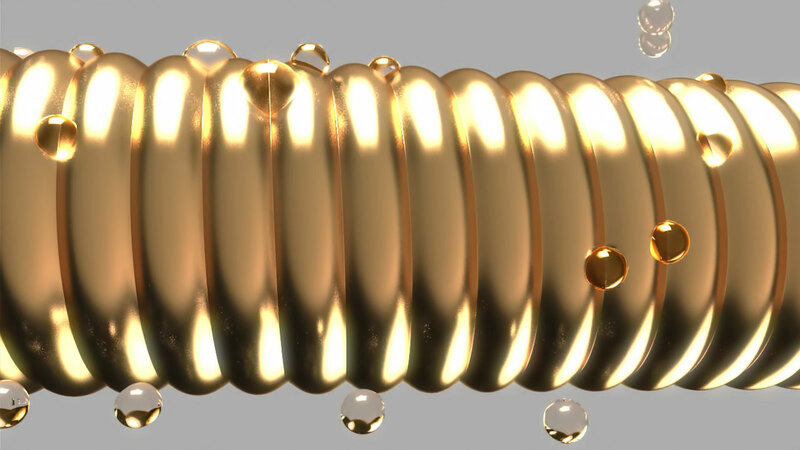 Ensuring that the wire has a more stable microstructure before it is wrapped means the string will last longer. Don’t let anything get between your strings and your fingers. Developed at Princeton University, Everlast is a groundbreaking nanotechnology just nanometers thin that coats the entirety of the wound string, allowing it to repel moisture and oils that would lead to tone-killing buildup. 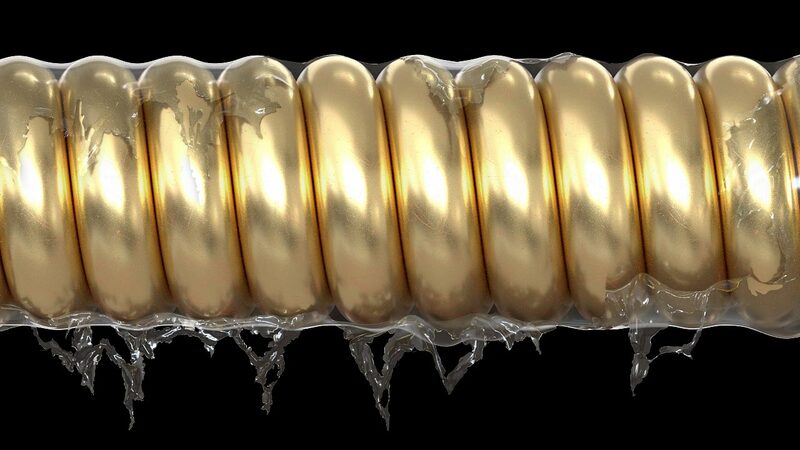 Longer lasting strings have always come with a catch; coatings dampen the highs, the way the strings respond, and sometimes even the way they feel. Paradigm leapfrogs these issues with 21st century technology. No coatings, no flaking, zero impact on the legendary Ernie Ball tone you love. for any reason, we'll make it right. At heart, we're pioneers and craftsmen. For over 50 years, the Ernie Ball company has prided itself on crafting guitar strings that have shaped the landscape of rock and roll. Our strings are made to be played. They should bite and bend, rage and ring, but they shouldn't rust or break. That's why we are proudly introducing the Ernie Ball Paradigm Ninety Day Replacement Guarantee (“Guarantee”) and Limited Warranty. 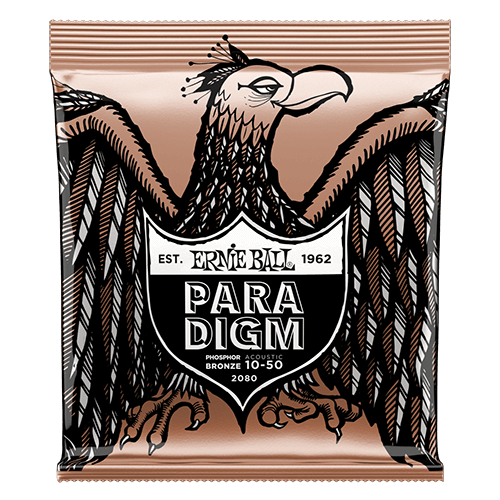 If any string in a set of Ernie Ball strings bearing the Paradigm Guarantee rusts or breaks within ninety (90) days from the date of purchase, Ernie Ball will replace the entire set of strings, no questions asked, when a qualifying Guarantee claim is made. LIMITATION ON 90 DAY REPLACEMENT GUARANTEE CLAIMS: (1) THERE IS A MAXIMUM OF ONE REPLACEMENT CLAIM PER PURCHASE. THIS GUARANTEE DOES NOT APPLY TO PRODUCT REPLACED UNDER THE GUARANTEE FOR PURCHASED PRODUCT, AND (2) THERE IS A MAXIMUM OF ONE CLAIM PER YEAR PER CONSUMER REGARDLESS OF THE NUMBERS OF PRODUCT PURCHASED. Ernie Ball further warrants that our Paradigm Strings Product will be repaired or replaced at no charge in case of possible flaws in material or workmanship during a period of ninety (90) days from the date of purchase – except for damage from improper use or normal wear. The Guarantee and the Limited Warranty take effect as of the date of purchase.  Ernie Ball may at its option refund the current market value of the Product at the time a Guarantee or Limited Warranty claim is made if it is unable to replace the Product. This Guarantee and Limited Warranty applies to the original purchaser and is non-transferrable. Any person having purchased a Paradigm Strings Product from an authorized Ernie Ball retailer can make a claim by presenting the entire set of strings, including the broken or rusted string(s), with the original packaging and sales receipt as proof of purchase, to any authorized retailer or distributor, or by mailing it to Ernie Ball, Inc., Attn: Customer Service, at 53-973 Polk St., Coachella, CA 92236, USA, along with a return address. This Guarantee and Limited Warranty is conditioned upon the return of the Product. Ernie Ball is not responsible for any Product lost or damaged during shipping. THIS GUARANTEE AND LIMITED WARRANTY IS VOID WITHOUT THE ORIGINAL SALES RECEIPT WHICH IS PROOF OF PURCHASE AND MUST BE PRESENTED TO MAKE A CLAIM UNDER THE GUARANTEE AND/OR LIMITED WARRANTY. California consumers only: California law provides that for in-warranty service, California residents have the option to return the Product to (A) the retail store location where the Product was purchased or (B) to another retail store location that sells the Ernie Ball product of the same type. The Guarantee and Limited Warranty does not in any way affect the consumers' rights legally recognized by the law applicable in the Product's state or jurisdiction of purchase. LIMITATION OF LIABILITY. TO THE EXTENT PERMITTED BY LAW, ERNIE BALL EXCLUDES ANY LIABILITY, WHETHER BASED IN CONTRACT OR TORT (INCLUDING NEGLIGENCE), FOR INCIDENTAL, CONSEQUENTIAL, INDIRECT, SPECIAL, OR PUNITIVE DAMAGES OF ANY KIND, OR COSTS OF PROCUREMENT OF SUBSTITUTE PRODUCTS BY CUSTOMER, OR FOR THE LOSS OF REVENUE OR PROFITS, LOSS OF BUSINESS, OR FINANCIAL LOSS ARISING OUT OF OR IN CONSEQUENCE WITH THE PURCHASE, SALE, INSTALLATION, MAINTENANCE, USE, PERFORMANCE, OR FAILURE OF THIS PRODUCT, EVEN IF ERNIE BALL OR ITS DISTRIBUTORS HAVE BEEN ADVISED OF THE POSSIBILITY OF SUCH DAMAGES.  LIABILITY IS LIMITED TO REPLACEMENT OF THE PRODUCT OR REFUND OF PURCHASE PRICE AT ERNIE BALL'S OPTION. THIS LIMITATION OF LIABILITY FOR DAMAGES WILL NOT BE AFFECTED IF ANY REMEDY PROVIDED HEREIN SHALL FAIL OF ITS ESSENTIAL PURPOSE. SOME JURISDICTIONS DO NOT ALLOW THE LIMITATION OF INCIDENTAL OR CONSEQUENTIAL DAMAGES SO THIS LIMITATION MAY NOT APPLY. The sole remedy for breach of the Guarantee and Limited Warranty shall be this express Guarantee and Limited Warranty. This Guarantee and Limited Warranty shall be governed by the laws of the State of California, U.S.A., without regard to principles of conflicts of laws. Any warranty that the Product is compatible with any product or instrument is expressly disclaimed. With this Guarantee and Limited Warranty, Ernie Ball grants the customer specific legal rights which do not restrict any statutory consumer rights. This Guarantee and Limited Warranty applies except where prohibited by law.